We don’t believe that your life should be defined by one mistake. Contact us today and learn how we can help you move on with your life. Handling all types of criminal defense charges. Handling all types of personal injury cases. Arrested for DUI? Get started with a Free DUI case review. Handling all types Of theft, burglary, and shoplifting charges. Handling all types of drug-related offenses. If you’ve been arrested or charged with a criminal offense in Orlando, you are likely to be anxious, upset, or worried about how to handle your charges. We understand this, which is why we are here to not only provide you with excellent representation but to also serve as counselors to help you through this difficult time. No matter what type of charges you face, our criminal defense attorneys will navigate you through the entire criminal justice process from start to finish. At the Umansky Law Firm, our team has over 100 years of combined criminal defense experience. We work diligently to ensure our clients get the best results they can in a system that is often stacked against them. Attorney William D. Umansky, a former prosecutor, lives by the philosophy that no life should be defined by a momentary lapse in judgement. Our goal is to fight for you to receive a second chance at each step in the criminal justice process. Our Orlando-based criminal defense firm has helped countless clients facing all types of criminal charges throughout Central Florida. Our personalized services ensure you receive the attention your case deserves. We strive to answer all your questions and will even prepare you for your court appearance in our mock courtroom. The attorney you choose to represent you after an arrest will make all the difference. 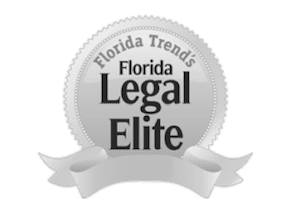 You need an Orlando criminal defense attorney that you can trust and who can be an advisor for your questions and concerns, someone who has the experience to counsel you through the process, and who is respected in the legal community. Everybody wants a criminal defense lawyer who will fight for them when the case is on the line, but a smart lawyer doesn’t simply fight for the sake of fighting. They know that sometimes you have to lay low and keep your head down, be patient and wait for the right time to play your hand. While a trial isn’t always the best option, having an attorney that isn’t afraid to go all the way can only help your case. People who are facing criminal charges in Orlando are often extremely worried about their future. It is our top priority to help you understand how the defense strategies we use in your criminal case will protect your life, family, and future. Led by criminal defense attorney and former prosecutor William D. Umansky, our team of attorneys, administrators and investigators are devoted to helping you achieve the best results possible. Our client-first approach allows for our legal team to help address the specific needs of your case with quick and effective resolutions. This unique approach to each case gives our lawyers the knowledge and experience to rise to the most difficult challenges of the law. Contact Our Criminal Lawyers Today For a Free Case Review! You deserve representation you can trust. If you have been arrested in Orlando or the surrounding Central Florida area, we can help you move forward with your life. Schedule an appointment today by calling 407-228-3838 for a free consultation. defuse the situation without going to court.